Want to paddle the Quetico Park this summer? We have quite a bit of information about traveling into this incredible Ontario Provincial Park on our website and you are always welcome to give us a call with questions, 218-388-2224. The Quetico Park offers a number of awesome wilderness canoe trip routes for short or long camping trips. There are lakes and rivers with a variety of scenery and fishing opportunities. The Quetico is a bit more rustic than the neighboring Boundary Waters Canoe Area in Minnesota as it does not have latrines or fire grates at the campsites. Although the campsites are not designated, meaning you can camp wherever you’d like, according to their website there are over 2200 interior sites to choose from. In order to paddle and camp in the Quetico Park you need to reserve a permit and purchase overnight camping fees. The permit can be reserved up to five months in advance of the start date of your trip and we can reserve those for you if you provide us with your Visa or Mastercard information to cover the $113 fee. $100 of the reservation is credited towards your overnight camping fees that you pay for at the Quetico Park ranger station. You can find more information about their reservation and cancellation fees online. The Quetico Park will either mail or email you a confirmation letter with more information containing your entry point and entry date. You must travel the route reserved and enter at the specific ranger station that your permit states. You’ll purchase your overnight camping fees at the ranger station. Fees are required for each night and each member of your group and cost $21.47 for adults and $8.48 for youth ages 6-17 years of age. For more information about rates you can visit the Park website, just be sure to look at the non-resident rates for entry from the south through Cache Bay. 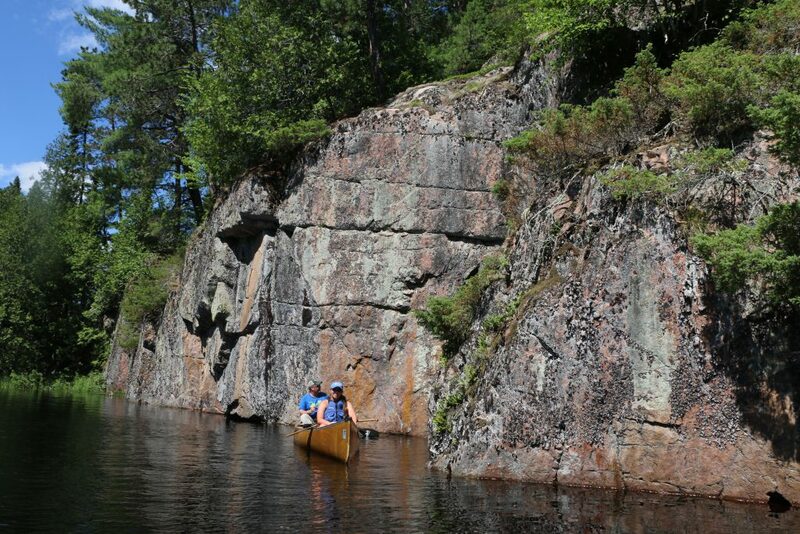 A canoe trip in the Quetico wilderness is an amazing adventure. There are some additional permits required in order to paddle there but if you take the time to read up on the requirements and get the necessary paper work it’s well worth the extra effort. 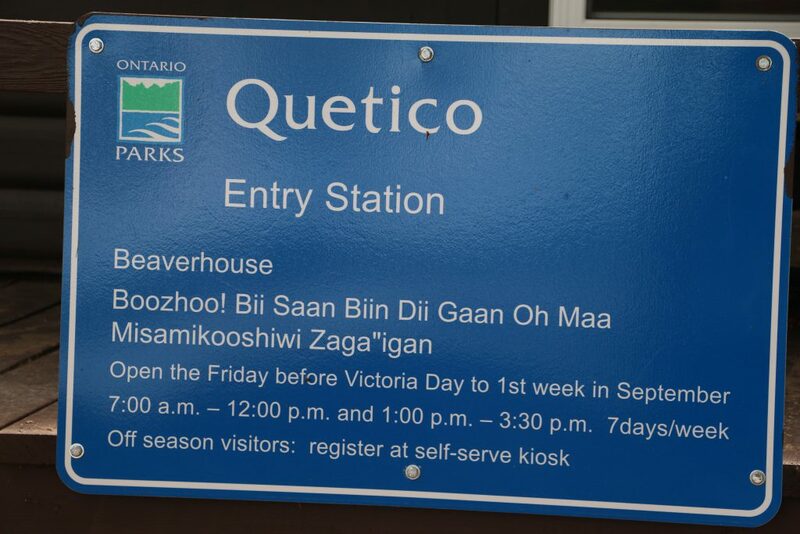 Additional information as it appears on the Quetico Park website. The protection of Quetico Provincial Park is guided by rules and regulations that backcountry campers must adhere to. While this is not a comprehensive list, the following are a few notable rules to follow. Mechanized Use: It is illegal to possess a motorized boat, power saw, gasoline generator or power ice auger in the park. No person may use a mechanized portage device, all terrain vehicle, snowmobile or similar mechanized equipment in Quetico Provincial Park. Party Size: Nine people is the maximum party size allowed on a campsite. It is recommended that large parties (any group over 5 people) travel separately across lakes and portages. Pets: Pets must be leashed while visiting the park. Non-residents must be able to provide a current vaccination certificate. Please remember to pick up after your pet. Firearms: Possession of a firearm, including a rifle, shotgun, handgun, air gun, pellet gun, paintball gun, slingshot, bow or crossbow is prohibited. Hunting, molesting and harassing wildlife is also prohibited. Litter: Pack out all non-burnable garbage, including tinfoil. You may not leave any litter in a provincial park, except in a place designated for that purpose. Likewise, you must keep your interior campsite clean and sanitary at all times. This will help prevent problems with bears and will also help to preserve Quetico’s wilderness. Closed Campsites: You may not camp on sites that are closed to camping. Obey no camping signs. Quota System: You must enter Quetico during business hours through the ranger station, on the entry date and entry point designated on your permit. Do not take unnecessary risks, late arrivals due to high winds will be accommodated. Vegetation: It is unlawful to remove, cut or damage any vegetation. For fuel wood, use only fallen dead wood collected from the shoreline and far from your campsite. 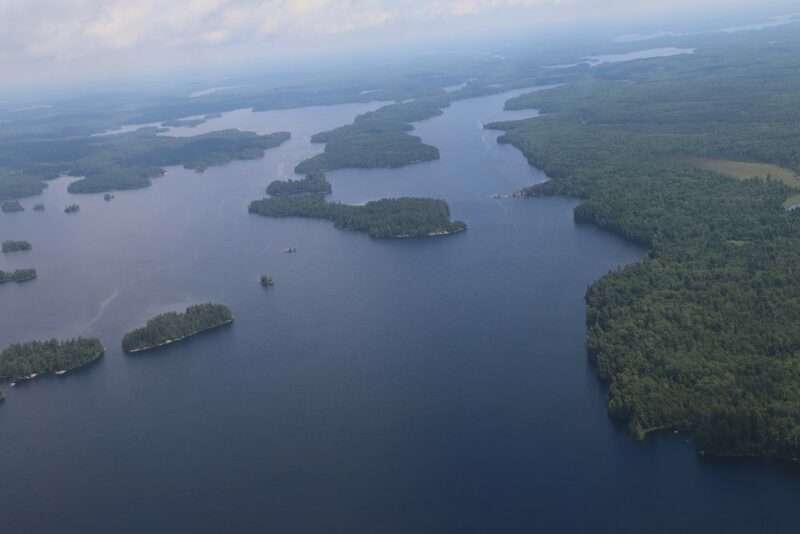 Historical Sites: Quetico has a number of important archaeological sites within its boundaries. You may not remove, damage or deface any relic, artifact or natural object or any site of archaeological or historical interest. You may not disturb these sites, make an excavation for any purpose, or conduct research without written permission from Ontario Parks. Pictographs: Leave archaelogical, historical and pictograph sites untouched. The Pictographs in Quetico are spiritually sacred for Anishinabe People. Approach all pictographs queitly and respectfully. It is illegal to deface these sites or remove objects such as bones, arrowheads, and other artefacts. Quetico’s pictographs are fading. Do not touch the pictographs: Oil and perspiration can accelerate the deterioration of the pigment. Campfires: Use existing fire rings. Fire pits must be built on bare rock or bare mineral soil and kept 1.5-3m from vegetation including overhanging trees. If windy, do not have campfires. Make sure your fire is out. Fires are prohibited in a restricted fire zone. Possession or ignition of fireworks in a provincial park is illegal. Equipment Caching: It is unlawful to store or leave unattended any watercraft or equipment in the park without the permission of the park superintendent. Campsite Structures: Do not build tables, chairs or other structures at your campsite. Please leave the campsite as you found it, taking all your gear with you, including fire grills and grates. Noise: Enhance your own experience and the experience of others by keeping noise to a minimum. We also encourage all aircraft to fly 4000 ft. above sea level when possible to help reduce noise levels. ‹ Cactus in the Boundary Waters?